ST. LOUIS (AFP) -- Now Tiger Woods is back. The 14-time major winner fired his lowest final round in a major, a six-under par-64, Sunday to finish second at the PGA Championship -- and a career once seen as over might just have some magic left in it after all. From grinding out pars and turning horrible tee shots into unlikely birdies to deadly accuracy with approaches and putts, the 42-year-old star who hasn’t won a major since the 2008 US Open turned back the clock. Spectators responded with roars to rival anything the former world No. 1 enjoyed in his prime. “They were loud and they stayed around and it has been incredible,” Woods said. Woods said it has been a long time since he felt so good about a loss, finishing two strokes behind Brooks Koepka but serving notice he truly can contend for more major titles. This from a man who hasn’t won any event in five years and a year ago was uncertain if he would ever golf again. Now eight months into his comeback from spinal fusion surgery, the fist-pumping thrills and excitement are back, as is the sense he could move closer to the all-time record 18 majors won by Jack Nicklaus. “I didn’t even know if I was going to play golf again,” Woods said. “This has been a process. I didn‘t know when I was going to start and how many tournaments I was going to play, how well I was going to play. I didn’t know what swing I was going to use either. 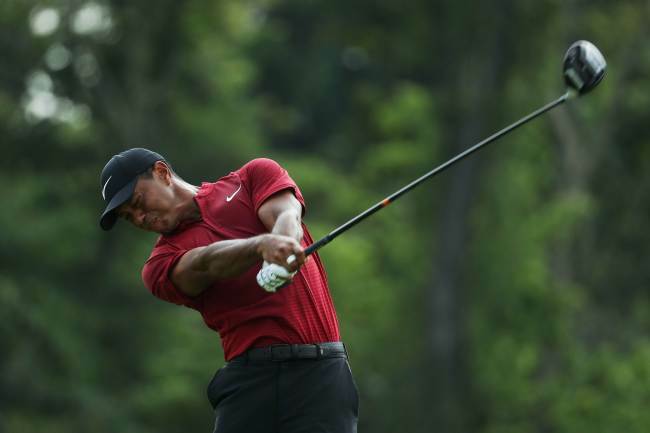 With silence and loud cheers the soundtrack to his day, Woods lipped out on a seven-foot birdie putt on the opening hole but sank a four-footer to birdie the second and one half as long to birdie the par-3 third. Poor drives kept Woods scrambling. He salvaged pars after finding a fairway bunker at four and right-side trees at the fifth, finally taking bogey at the par-3 sixth after finding a bunker. An up-and-down from a bunker for birdie at the par-5 eighth was followed by an astonishing 176-yard 9-iron second shot from dirt near a cart path to the ninth green and a 10-foot birdie putt, the crowd roaring with delight as he pumped his right fist. Woods finally found fairways on the back nine, but endured heartache at 11 when his 28-foot birdie putt hung on the edge of the cup, the ball refusing to fall until he tapped it in for par. He closed with a 20-foot birdie putt and walked off to cheers.